From Cosplays to Mantels, I love celebrating my family’s love of The Nightmare Before Christmas. 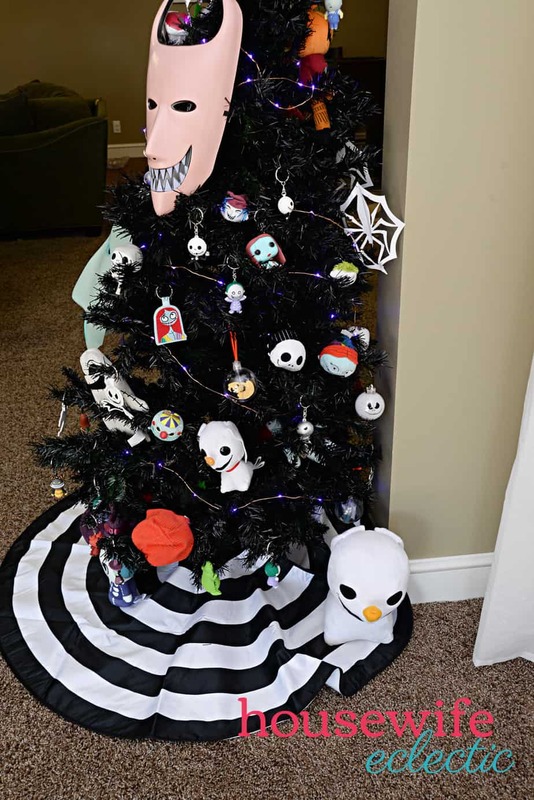 When we replaced our Christmas tree this year, my husband made a comment about how fun it would be to spray paint the old one and turn it into a Nightmare Before Christmas Tree. Challenge accepted! It was a lot of work to spray paint a tree, but I am thrilled with the results. 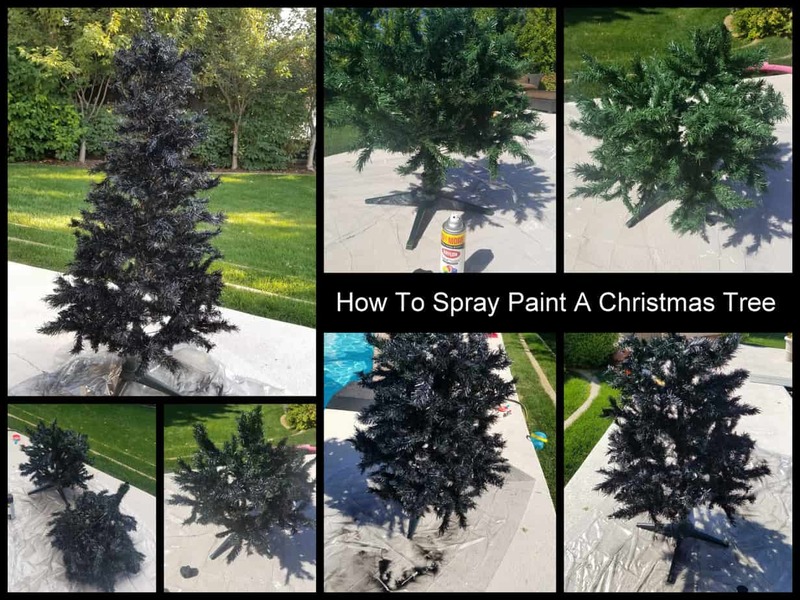 Here is how I spray painted my tree and where I got the decorations for this fun spooky decoration. 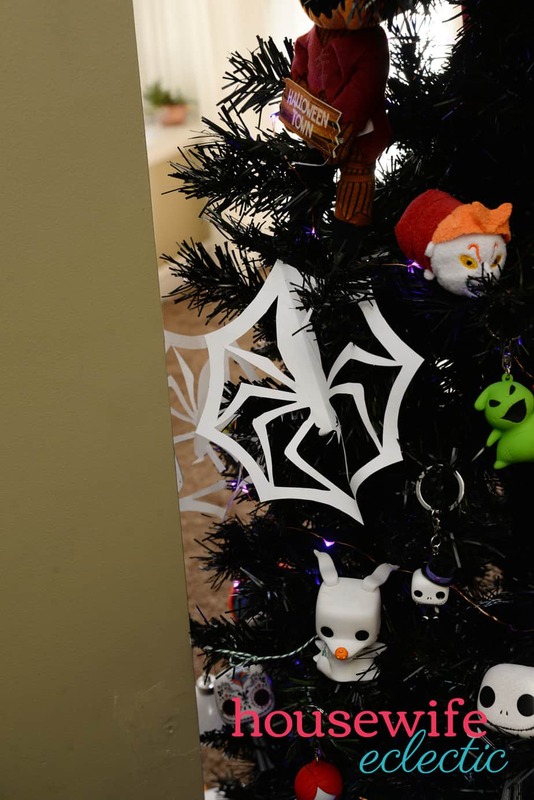 First of all, there are a LOT of surfaces on a Christmas tree, all of those little crevices and needles means that this will take a lot of spray paint. For my relatively small tree, 6 FT tall and narrow, it took me seven large cans of black spray paint to make the tree look the way I wanted. Start my spreading your tree branches out as much as possible. You want to really fluff them and separate every little limb as much as you can. If you are spraying the kind of tree where the individual branches come out, this will be even easier for you. My tree is the kind that comes apart into just a few sections, so I worked really hard to separate it as much as I could. Start my spraying the tops of your branches, when the tree dries, flip it over and spray the bottom. You will probably have to spray the top and the bottom multiple times to get good coverage. I sprayed the top of one section, waited for it to dry, flipped it over, sprayed the bottom, waited for it to dry and then started over again with the same section until I had great coverage on the tree. Then I repeated for the other sections of the tree. After my tree was nice and spray painted, I allowed it to dry for about 48 hours before hanging items on it. The first thing I did was wrap it in purple lights. You can find the LED purple lights I used here. I found ornaments all over the place for this try. I wanted to to be fun, funky and out of the norm, so I check out small handmade shops as well as larger chains. Here is what made it onto my tree. There are a ton of awesome Nightmare Before Christmas Funko pops. The biggest problem with them? They are all top heavy and struggle to stay on the tree. I used pipe cleaners to twist each one to the tree for a way better look! 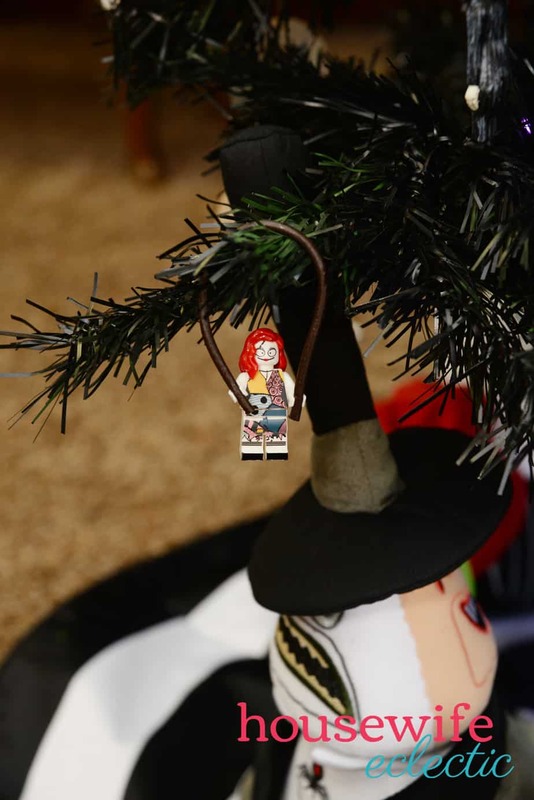 Some of my favorites on this tree include Dr. Finklestein, Snowman Jack and the Creepy Clown. 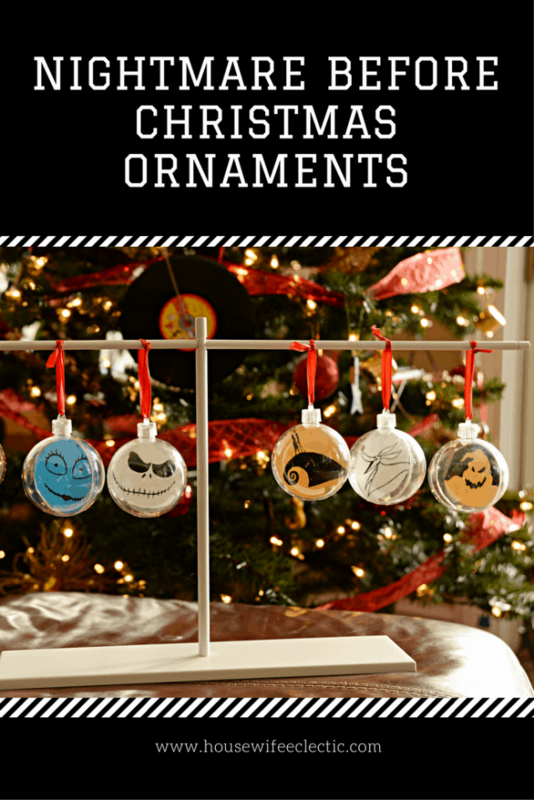 I made a selection of ornaments with faces and silhouettes inside of them. 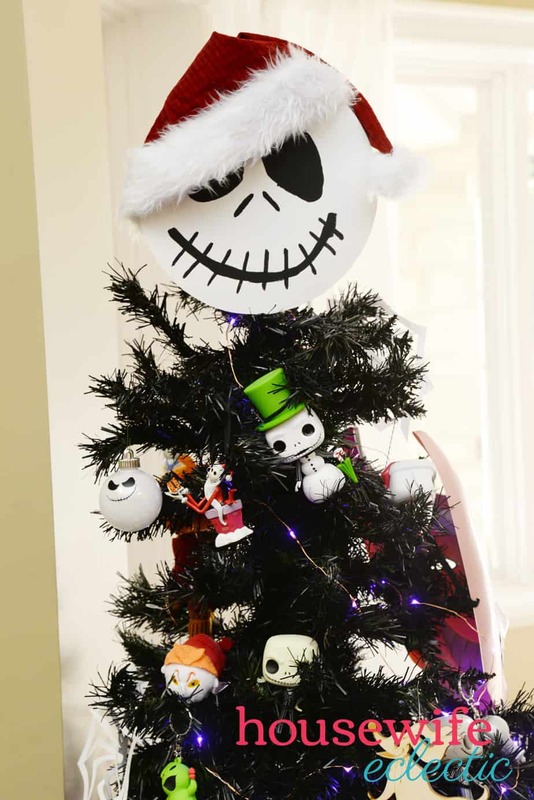 You can find the instructions for these Nightmare Before Christmas here. Keychains always make fast and easy ornaments. They have built-in hangers and are usually designed to hang well. 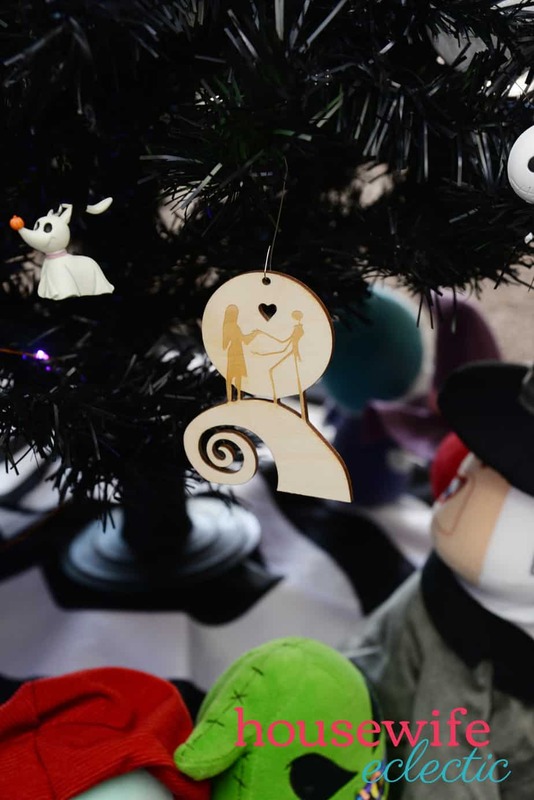 There are also four different series of Nightmare Before Christmas keychains that I know of, so you can find a wide variety of keychains for your tree. I found some fantastic pieces for my tree from some small shops. I love supporting these small family businesses and hope you get the chance to check them out. If you look around, you can find some really fun Nightmare Before Christmas Minifigures. Simply follow the tutorial below to know how to hang them on your tree. 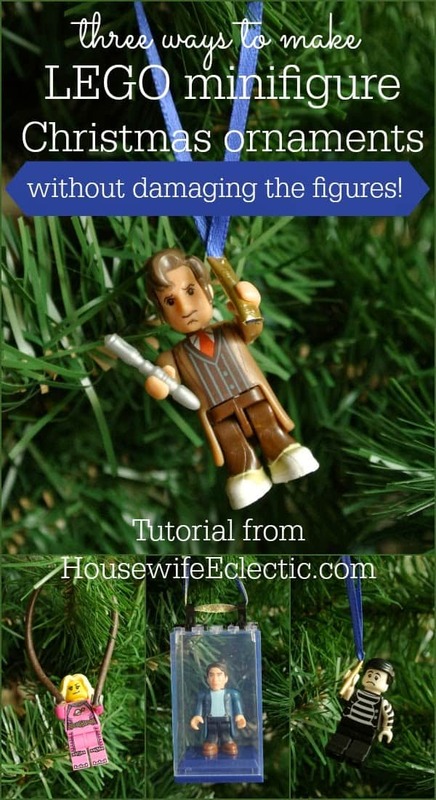 Find the full tutorial on how to hang Lego Figures on a tree here. 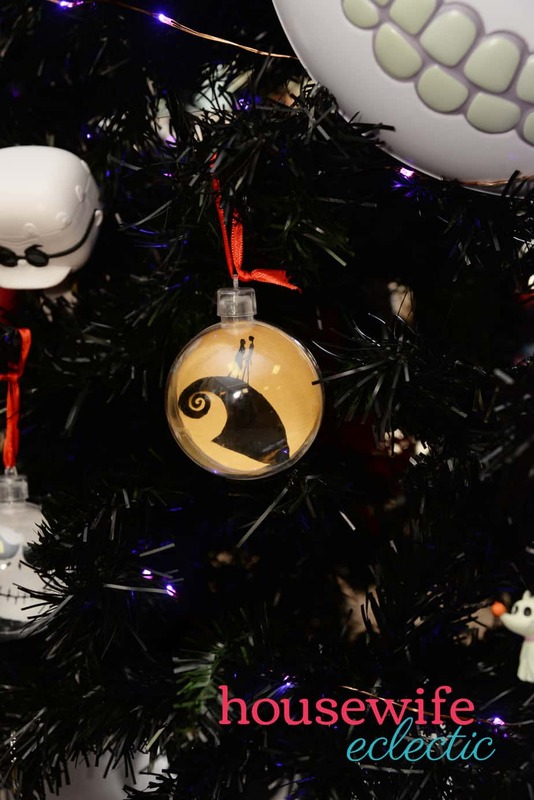 Hallmark and The Disney Store also carry Nightmare Before Christmas ornaments as well. I used a ten inch wooden circle and free painted the face of Jack Skellington on it. 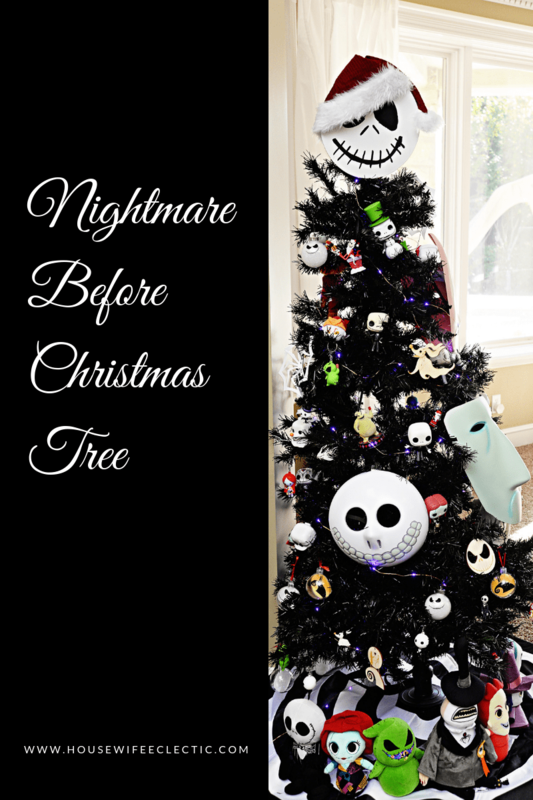 What would you include on your The Nightmare Before Christmas Tree?